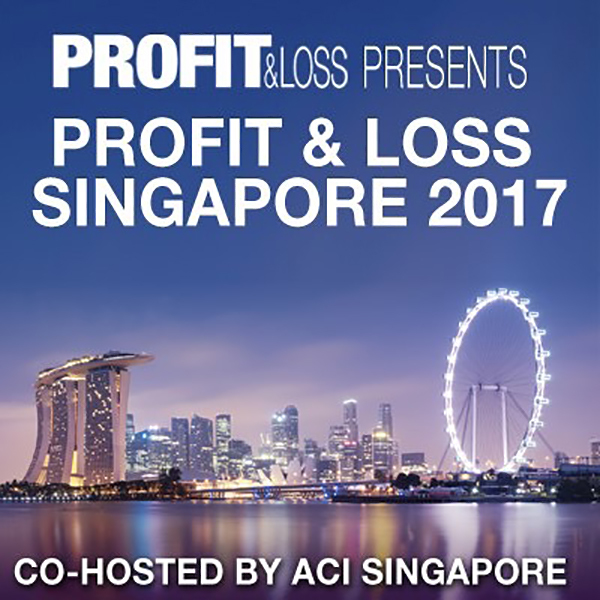 We are pleased to announce that ACI Singapore is once again the event partner of the Profit & Loss Singapore Conference, which will be held at Fairmont Singapore & Swissôtel The Stamford on 9 November 2017. Full details are available here. We are also pleased to advise that all Ordinary Members of ACI Singapore who are working with Buy-side institutions, Banks and Broking Houses will qualify for complimentary admission. Other members of ACI Singapore will be eligible for a special concessionary fee of USD747.50 (or 50% of the normal fee). For registration, please contact Ms. Bhinder Kaur at bkaur@profit-loss.com / (UK) +44 20 7382 0334 / (USA) +1 (646) 453-6790 with your full name, company name, job title, phone number and email address. Please quote your ACI membership number.